Following the Chennai TAP on 2nd Jan, the BITSian version of it conducted by Raag was on the cards. It is indeed intriguing to think of Saint Tyagaraja’s compositions gaining audience in this small North Indian village of Rajasthan. This year’s iteration of the event began with much promise as a very enthusiastic bunch of people turned up for registration. 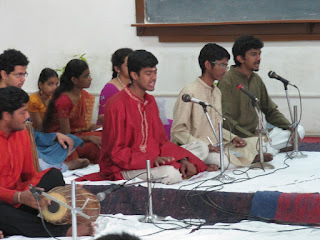 Having signed up for what would be close to two weeks of daily practice sessions with six lead vocalists, 3 guys and an equal number of girls, the sessions began with the first piece: Jagadanandakaraka in ragam Nattai. The group soon settled into their singing voices and disparities of pitch were sorted out. As January drew to a close the progress made was remarkable: people with no previous experience in Carnatic music were able to pull off decent renditions of Saint Tyagaraja’s master pieces. The practice sessions usually scheduled after dinner had good attendance with people staying enthused for the full one hour. ‘Guruji’ Deepak was also delighted to be part of many engaging discussions one of which was based on a most pertinent question: At what speed had Tyagaraja himself sung these kritis??? This and other such seemingly innocent discussions on music and other topics with a surprisingly fresh outlook defined the practice sessions. 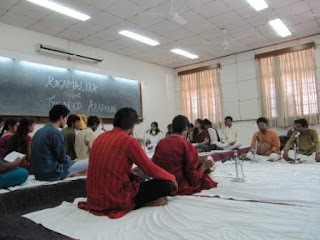 The program held on the morning of Founder’s day (8th February, 2011 this year) usually ends up having a certain magical quality to it. It was no different this year with a serene and soulful ambience being setup in the good old Room No. 2219. The songs rendered included Sri Ganapatini in praise of Lord Vigneshwara, The remover of obstacles, Guruleka etuvanti in praise of Guru, The Teacher, followed by the Five Pancharatna Kritis of Tyagaraja. Such Aradhanas are held in many places in India during this time of year in a tradition that dates back more than a century. It is a testament to the treasure trove of musical and lyrical beauty in each of Tyagaraja’s krithis that each such Aradhana succeeds without much effort in moving the performer and listeners to a different spiritual plane. As a tradition then, this celebration transcends a mere formality and we hope that TAP is a great example of the fact that with proper initiation Carnatic classical music too is very accessible to a lay audience and also to an amateur performer. Here is to the next iteration being even bigger and grander!! It's really nice to read about campus news even as I am feeling so old and my days in Pilani seems like aeons ago! Please keep updating this site/the FB page with more Ragamalika news and concerts!!! VERY NICE AND PRAISEWORTHY POST. Rāgamālika is the classical music and dance club of BITS Pilani. As a club, we promote the culture of India through the ancient arts of music and dance. 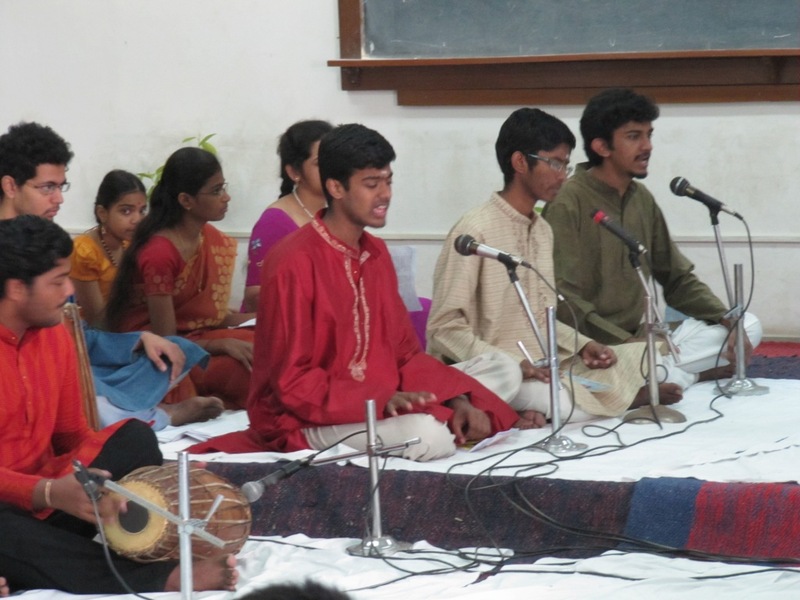 Throughout the academic year, the club performs and organises music and dance recitals with the aim of increasing the percentage of BITSian classical music listeners. Like and visit our Facebook page here. Subscribe to our YouTube channel here to view our performances or follow the links below.